Dash (DASH) is a “next generation” crypto-currency that is trying to solve a lot of the problems that plague Bitcoin. Similar to Bitcoin, it’s an open source crypto-currency that forked (i.e. split) from Litecoin in 2014. Dash is trying to differentiate itself from Bitcoin by working to solve one of the biggest complaints about using Bitcoin as a currency – speed. Bitcoin transactions can take minutes to resolve. In today’s world, that’s unacceptable. Dash currently offers instant transactions via it’s InstantSend protocol. However, Dash isn’t the easiest crypto currency to buy. It requires some additional steps compared to investing in Litecoin or Ethereum. But let’s break it down and show you what to do. Get started opening those up and follow the directions below. Dash was split from the Litecoin blockchain to be a better alternative to Bitcoin. The goal was to create a faster, more private transaction. As the currency has gained popularity, it’s value has risen dramatically. 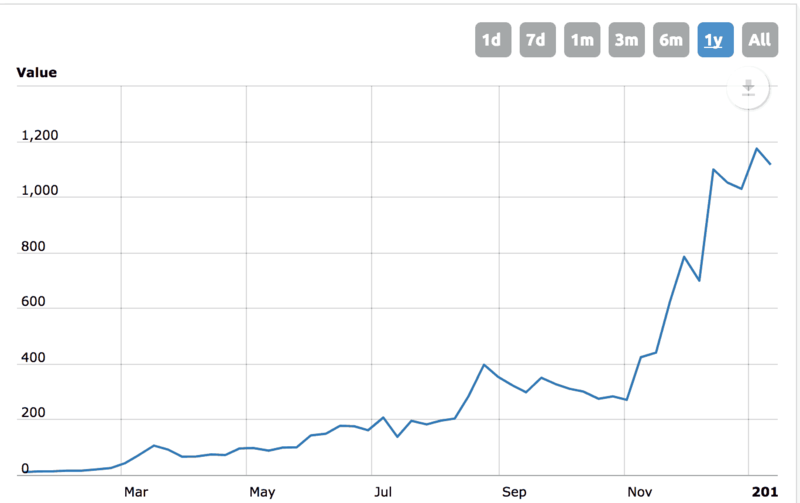 Dash, like most other crypto-currencies, has seen it’s price spike from next to nothing to well over $1,000 USD. It has also been seeing daily volume of over $100 million USD equivalent each day. The big difference of Dash compared to other currencies is that it maintains a two-tiered network, which allows for faster transaction processing time. Like Bitcoin, it has a lower tier, which is comprised of the miners and main network functions – such as creating new blocks for the blockchain. However, Dash has a second tier, which it calls “Masternodes”, which allow it to perform it’s InstantSend and PrivateSend functions. The Masternodes also serve as a level of governance for the Dash network. InstantSend it what really separates Dash from other competitors. Unlike Bitcoin, which can have transactions that take minutes to process, Dash’s InstantSend allows it to process transactions almost instantly – solving a huge issue with transactions. PrivateSend is another feature of Dash that has been adopted by other coins, but not the main ones like Bitcoin. This allows users to send money, and it essentially cannot be directly traced back to the sender. As we mentioned earlier, Dash is not “easy” to invest in. However, there are rumors that Coinbase will be adding support for Dash in the near future. If that happens, you can likely expect the price of Dash to increase substantially as new investors will easily be able to purchase the currency. However, today, you need to follow a strict process to buy Dash. The first thing you need to do is setup a Bitsane account. Bitsane is the place where you will hold your Dash tokens. Bitsane is a popular choice, because it allows crypto-to-crypto transactions from companies like Coinbase. It’s important to note that you can’t send money to Bitsane (or any other Dash exchange currently), so you have to go to Coinbase -> Exchange (Bitsane) -> Dash. Hopefully this changes soon, but that’s how it goes today. 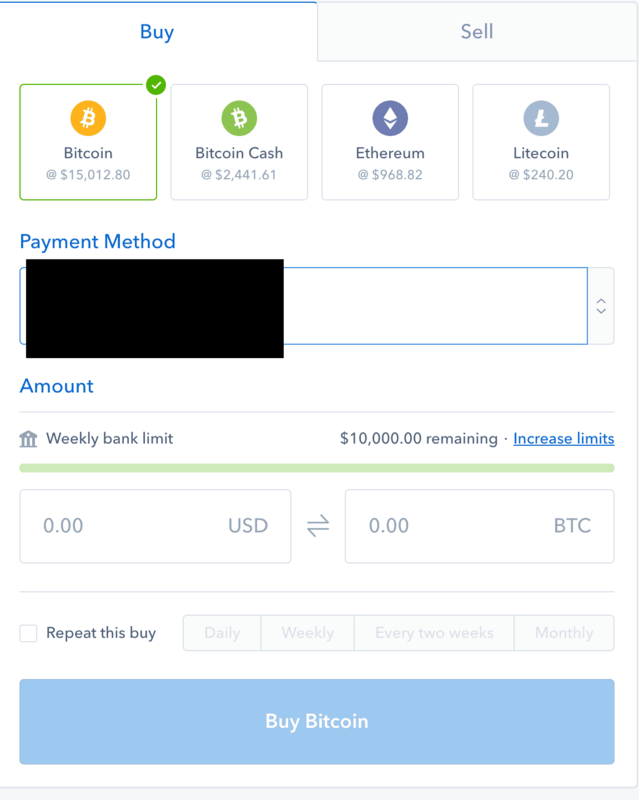 Once you have a Bitsane account setup, you need to buy Bitcoin or Ether on Coinbase. 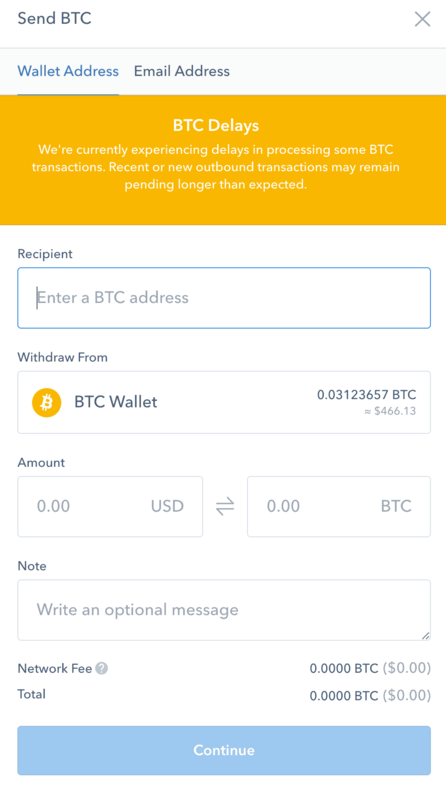 Once you have your Bitcoin or Ether in your Coinbase account, you can transfer it over to Bitsane. This is also fairly easy to do. In your Bitsane account, simply click “Balances”, then “Wallets”, and you can see all the different coins you can hold in your account. Once you have your Bitcoin in your account at Bitsane, you can finally buy Dash (DASH). Once you place your trade, it will show up in your Bitsane account. Like any currency, there is a high degree of risk involved if you’re considering investing in Dash. However, given the low price point, it does have the possibility for a high return with low barrier to entry. If you don’t like the idea of a digital wallet and/or all of these steps, there are no ETFs that track Dash yet. However, GBTC is an ETF that tracks Bitcoin, and you can get $5 for free when you invest at Stockpile and buy Bitcoin.